“Going wide” – ie self-publishing books via on more than one distribution platform – helps indie authors build a greater audience for their books. Today we’re sharing a webinar recorded earlier this summer in which ALLi Director Orna Ross interviews Christine Munroe, Director at Kobo, to explore the significant opportunities provided by the truly global ebook platform Kobo. This webinar is suitable both for those completely new to self-publishing and for more experienced indies, whether or not they are already Kobo authors. It includes a substantial slideshow, so we recommend that you watch the video here via YouTube, but if you prefer to download the audio podcast and view the slides separately, scroll down for further links. Orna Ross: Hi everybody, I’m here with Christine Munroe, who is director now at Kobo and she is going to talk to us today as part of our Self-publishing 3.0 and our “going wide” initiative. It’s all about why you should be on Kobo. And Chrissy’s going to bring us through a presentation about how to do that and how to get your books up there, and how to get them selling all over the world through Kobo. And then, when she’s finished, we’ll have a short Q&A with any questions arising. So thanks so much Chrissy for being with us here today. Christine Munroe: Hi Orna, great to be here. Orna Ross: So are you ready to rock? Do you want to try and see if we can get your presentation up online? Christine Munroe: Absolutely. So I’m going to share my screen now and yeah, looking good. Great. So, you can see what I’m seeing now? So today I will be talking about how to grow your global sales with Kobo. I will give an overview of Rakuten Kobo as a company and Kobo Writing Life, just for any of you who this is the first time you’re ever hearing our name, and then I’ll get into some more specific tips for those of you who are old pros and who have been using us ever since we launched in 2012. And there we go. So as a start, just to introduce myself, I joined Kobo, specifically the Kobo Writing Life team in 2013. Mark Lefebvre hired me out of New York, where I had been working for five years on the “traditional” side of publishing. I started at a literary agency, and was an intern looking at all the manuscripts coming in the door, and saying no to the vast majority of them, and that really shaped the path of my career, because, at that exact moment, self-publishing was really opening up, and this opportunity to let the readers be the deciders of what to say “yes” to and what they wanted to read, and cutting out some decision makers along the way. That was really exciting to me. So I kind of had my ear to the ground for opportunities. In between there I was actually a foreign book scout for many years. I scouted North American books for foreign publishers for translation, so I kind of brought to Kobo both sides of that equation: the global focus and the idea that I want to help authors make a living from their writing. But I don’t necessarily want to be the person saying yes or no. I want to empower them to be the decision-makers. So that’s a bit about me, and I took over as director in the fall from Mark, but he and I had worked really closely together for the last five years. So, I’ve carried over a lot of his amazing viewpoints on making Kobo as helpful and friendly and easy as possible. So that’s really what we try to do today. So today I will talk more about Kobo and Kobo Writing Life, how to self-publish, some things top authors have in common, and some pricing strategies. And I already covered the point about me, the update being that I have now taken over for, anybody who hadn’t heard that yet. And if you haven’t been in touch with me, I would welcome that as well. So Kobo started in 2009. We are based in Toronto, but now owned by Rakuten, who are Japanese. You could think of them as a Japanese kind of Amazon big giant in ecommerce. They own tons of companies around the world, including us and including Overdrive, the leading digital library provider, and all kinds of other thing – eBay, Fiverr – and it’s really empowered us to grow globally even faster than we could have before we joined forces with them. And what makes Kobo unique compared to other retailers is that we actually don’t sell other products. We focus completely on books. So, the whole store experience, everything we do is trying to make digital reading better. And, as you can imagine, that just shapes a lot of what the website looks like, what the shopping experience look like, what our customer looks like. You’re not getting casual browsers trying to buy diapers, who happened to also buy an ebook. You get a person who is looking for a book and that’s what they’re coming to buy. And the other thing that makes Kobo unique is our global focus. When we started, we really didn’t go US-focused first. We launched partnerships with physical brick-and-mortar stores around the world, so we are primarily the ebook provider for a lot of these retailers. So that’s an interesting model that’s unfamiliar to some people, but it’s been working for us. So, the biggest example, which I’ll talk a little bit more about later is that we will be the ebook and audio book provider for Walmart in the US later this summer. So that’s the background. I already touched on Rakuten, but another thing to note is that they’ve really been doing a huge push for their brand, especially in the last year. So, for example, we’re a big a football sponsor now and we sponsored the Golden State Warriors. So that’s one way they’re trying to get their name to be more of a household name in these interesting ways around the world. And that’s obviously helped us as well, as we now carry their name within ours. We also have our own line of devices. So, there are plenty of countries around the world where Kobo is the leading ebook for ereader. We just launched a new one which I need to add to this slide called the Clara hd. I like to say that it’s named after my first born, because it has the same name. It was not named after her, but I did test it and it’s pretty amazing. So, for those of you looking for one, I would check it out. And we’re always trying to innovate and make the ereader experience and the free app experience really wonderful. The one thing is, for example, is I’m a big time bedtime reader, and they’ve really taken out the blue light that’s now been scientifically proven to keep you up after you’re done looking at your cell phone. So, for me, I guess it means I read a little bit less because I fall asleep faster, but it’s kind of nice. But that’s kind of tying into what I said before that we are primarily book lovers first, and that drives everything that we work on. We launched audio books in September of 2017. We started with primarily English geos, but now we have launched in France and Spain, and there will be more coming. So we’re really going global with audio. We are working on KWL-specific audio uploading, so stay tuned for news on that. But that’s a major initiative for us. But in the meantime, there are tons of options that are currently coming to the Kobo store for independent authors including Findaway Voices, Listen Up and more. And if you have an audio deal with someone like Tantor or Blackstone, all of those guys are distributing to Kobo as well. And another thing that makes this kind of unique is instead of being a separate app experience, it’s actually within the Kobo App. So, if people are flipping between ebooks and audio books, they have it all in one place, which I think is cool, as somebody who does that. So, as I hinted at the beginning, what makes that a compelling story is we now have this whole offering, and Rakuten plus our ebook devices and audiobook business made us the ideal partner to let Walmart finally get into the digital book market. So we will have devices in stores in the US and be powering the online bookstore for Walmart. So that’s our huge initiative this year. That’s where we’re all focusing in on and really excited about. So, within Kobo of course is our self-publishing division called Kobo Writing Life. And it is free. There’s no fee to sign up. You get 70 percent payment if you priced your titles at $2.99 or up or 45 percent if you price it below that. It is renowned for being the easiest platform. And we work on keeping it that way. It’s four super-quick steps to get your ebook for sale. We have a free conversion tool, which is actually really nice and simple. We take an .epub if you already have it, .doc or .docx, and then there’s a dashboard that lets you track your sales in real time. It’s an estimate of what you’ll get paid. We pay monthly in your local currency right to your bank account. And we have tools to let you do pre-orders scheduled prices in advance. For example, if you’re doing a Bookbub and you want your price to drop at midnight, we’ll empower you to do that without having to go in and manually be like $9.99 across all of the geos, and then it’ll come back up at the end of the time period that you choose. And we launched in 2012 and have grown significantly to the point that now KWL titles are selling more units per week globally than any of the big five. 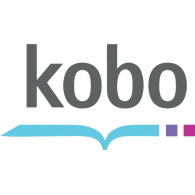 So it’s a pretty significant story and I know that’s true at other retailers as well, but it’s a cornerstone of the content catalog now for Kobo. And our main focus is trying to help authors make a living from their writing. Some really great people that we work with, Marie Force, who was amazingly successful, 6.5 million copies sold and Tony Anderson, I love this one. I stopped listening to the people who said you can’t do that and did it anyways. A lot of these stories we focus on on the blog. It’s www.kobowritinglife.com, and there we help these authors share their aspects of success in a similar way to what you guys are doing on the ALLi site. I’m trying to share strategies for what is working specifically for Kobo. So if you’re looking for some tips on how to get to that next level, I really recommend keeping an eye on that blog to keep it bookmarked. And we also pull the top stories from that month and put them in our newsletter that we send out. So, in a lot of ways it’s never been easier to be a published author. You can get your Word .doc, .jpeg live on site, typically within a matter of hours. The old gatekeepers like I used to be aren’t the ones making decisions. You are the publisher controlling everything, the rights, price, design, publication date. And Orna, you know this better than me, even like from 10 years to today it’s a drastically different world. And it’s really wonderful and exciting, and the opportunities, that’s what I love most, that I feel like opportunities keep opening up and this world is just getting bigger and more exciting for authors to reach global readers. But on the other hand, it’s never been harder because more content is out there than ever before. So we’re over 5.5 million titles now. I know other retailers have even more. So how do you make your book stand out? There are so many free opportunities and paid resources that you can take advantage of, but if you’re just starting, it can feel overwhelming. Like where do you even start? And what we always say, even as Kobo ourselves trying to make sales is that we’re doing this fight, not against even Amazon for example, from a Kobo perspective, but we’re fighting against other entertainment, right? Like, what else can you find on a phone? What else is interesting? And being talked about today, is it books? So as authors, I think it’s a your biggest responsibility to write an amazing book that is so great that people are going to talk about it and share it, and it’s going to be the next bingeworthy thing that people want to, you know, like, have you, can you believe that this story happened? And that’s what I’m always really excited to find, like what’s that next shareworthy read? So what we really try to do and our mission as KWL is to make it as easy as possible to reach readers around the world. So one thing I really love is our Hashtag KWL map, so authors will go into their dashboard and find all of the countries where they’ve sold and share that on Twitter. So if you haven’t done that yet, I would super-highly encourage you. We often retweet it as KWL, and you’ll find these tiny countries that I have never heard of. And that’s where our authors are selling. And in the old traditional model of publishing where things were very siloed, as you know, you sold your North American rights to this specific publisher, it was truly not possible. And now anywhere that somebody has internet and can create a Kobo account, they can find these books. I think that’s awesome. So quick best practices, I get this question a lot. What are your top authors all doing? A lot of these you may have heard before, but it’s always a helpful reminder to take a step back and make sure, like, am I doing all these things? Am I still doing them? However, many years later that you’re into this game now. So number one, you have to have an online presence and a cohesive brand. It doesn’t have to be a big, splashy online presence. It doesn’t have to be a huge costly website. You can use so many free resources out there, but you have to be findable. Make it as easy as possible for a reader to find you. Have a website, find a social media platform that you want to use. I don’t think you have to be everywhere. There are hugely successful authors who don’t have a Twitter account, for example, but you have to be somewhere that people can find you and communicate with you. Number two, hire professionals, so have a professional do your cover design, your editing and proofreading for you, and don’t use, I think this is much more rare now, but still people do it, the idea that self-publishing is like a toe in the water that you’re going to put out something and improve it later. Publish as the author that you want to be, strive higher and put a professional product out there, because if somebody reads you and they get an unprofessional experience, you’re really eliminating the possibility that that person will try you again. Number three, do your research. There are tons and tons of resources out there. Start with ALLi. You’re already here, so, you’re doing that. You know, just really understand what the market looks like and what your opportunities are. Number four, create a distribution plan and stick with it. And this is one that at Kobo Writing Life drives me crazy where people will flip back and forth between things. It doesn’t work. I’m going to tell you that right now. It works well if you have a plan, you market to that plan and you try it for a long period of time. And by long I don’t mean 90 days, I mean like at least a year, ideally more, and really see how you can grow your audience. For example, if you were previously in KU and you’re trying to go wide, like set a calendar date, I will try this for this long and stick with that and really try to grow those readers. You’re basically starting over finding a totally new audience, and you have to grow your brand to this new audience around the world. So think about that, which points me to number five, thinking globally. You have the opportunity to reach readers in so many countries, so, so, so, so, so many countries. So, if you’re doing Facebook ads, target countries that you haven’t thought about before, look at where retailers are stronger in different markets, and you can target Kobo, you can target Barnes and Noble, target iBook’s wherever you are and try and reach those readers. Share links to every retailer. So that’s a big one. I get people ask why they’re not growing their sales on Kobo, and I can’t find a Kobo link anywhere, and there’s been no marketing effort from the author side to push sales on this platform. So make it as easy as possible for readers to find you and engage with the author community. That’s going to be your best bet for knowing what to work on, what’s working, what’s not getting great advice. Sometimes you’ll get bad advice, and that’s up to you to decide what’s going to work for you, and not everything that’s working for the author community or in one other author is going to work for you, but find your group that makes sense and that’s going to help you keep feeling inspired to grow your sales and keep writing. Number eight, attend conferences. So I know that’s a tricky one, because some are expensive. It’s tough to travel. There’s a million reasons why it makes sense to stay home and stay at your writing desk, but the opportunity to meet people, learn things, connect with retailers directly. For example, I go to at least 10 conferences a year and the sole purpose is for me to try to discover new writers, and connect with those who are already on Kobo and figure out how could, what can we do to make this even better for you? So, to be the voice giving that feedback, you have to be there to raise your voice. There are tons of great ones around the world. I think there’s probably at this point a writing conference happening every single weekend somewhere. Find a local one if you can’t afford to travel, but make that a goal for within the next year to go to one writing conference. Number nine, stay business savvy. So yes, it’s free, it’s easy. You’re throwing your book up there online. But by hitting publish, you are becoming a publisher and a business owner, and you need to think about the implications of that. You need to think about taxes. You need to think about potentially registering for a business tax ID depending on where you live. You need to think about your rights so when you click the terms and conditions of every retailer you are signing a contract and potentially giving some of your rights away depending on what you’re agreeing to. So, read the contract, read the terms and conditions, make sure you’re on board with it before you sign up for these things. and if there’s something that seems too good to be true or too expensive to be worth it, it probably is. There are tons of scams still around there. If something seems weird, Google that name plus scam online and make sure you’re doing your due diligence to protect yourself, because once your rights are gone, it can be really, really hard to get them back in. Once you spend your money, you’re not going to get it back. So just be really wary and protect yourself and your writing and your business. And number 10, keep writing. At the end of the day, people are talking a lot about money and rank and revenue goals and yes, that’s important, but what’s most important and hopefully why, why you’re doing this in the first place is to be writing and to be a writer. So keep that. That should really be number one and number 10. And at the end of the day, I can say these are best practices and there are people who break every single one of these rules and they still do really well. So I hope that’s not confusing, but at the end of the day, what feels right for you is right for you, and try not to compare yourself to others. So that’s my top tips for what top authors with us have in common. Christine Munroe: Thanks Orna. Now. So now I’ll just run through how the dashboard works. For those of you who haven’t seen it yet, it is really easy. I’m just going to say that right now. So, if you’re worried about taking the time and effort to go direct meaning distributing directly to Kobo versus using an aggregator, I highly encourage you to just check it out, and I think that’s part of your research and diligence for yourself to see what it’s like and if it’s easy, then I say do it and keep all your revenue for yourself. So you type in all your information, you set your price and you can choose what countries you’re distributing to. For example, if you’ve sold your rights in the UK or US, you can self-publish everywhere else, check your contract. But if that’s the case, you can be making money in other countries. So that’s really exciting. You can choose DRM or not. and I will talk about that. Erm, maybe I took that slide out. I might have deleted it. We’ll see if I get there later and have to skip it. I’ll just mention that we do allow you to apply digital rights management as some people think it helps reduce piracy. I would personally say it doesn’t, that’s just my point of view, but it’s your choice. You can add it or not, it just basically locks your .epub to the place where it is downloaded to and makes it harder to sideload it to other devices and apps, but I won’t get too much into nitty gritty of DRM here today. So I mentioned earlier, we have a price scheduling tool that a lot of our authors really, really love. You can set price promotions ahead of time in 14 unique currencies, and then we’ll send you a little update when your book is going live, when your prices are going back to their regular price, and you can edit all of that if you make a mistake. So that’s a really handy tool. And then you see your live dashboard tracking sales daily. You can customize it looking by month for example. Some people really love the “yesterday” for tracking, and then you get this global view to show you where you’re growing most and where opportunities are for you to keep growing your sales. So we are not a service provider at all. We are the path for you to get your books on Kobo, but we do try to get authors discounts for professional services. So, when we hear of a really good opportunity with the provider that we believe in, we’ll try to get a bulk discount essentially, so $100 off Listen Up is one example, aA promo code for Reedsy. Those are all in our services tab and we also highlight those in our newsletter. So those are not necessarily people that we are working with directly at all. It’s just a service that we have heard great things about. We believe they’re doing good work and you can check them out and get a discount. Here we go. Talking about DRM, I knew it was coming so I’ll skip that part on this slide. And also just mention that it’s up to you. If you have an ISBN in the system, if you already have one, you can use it and if not, we create a kind of dummy ISBNs for you. It starts with the one, two, three, and that’s just a KWL identifier. You can also use preorders anytime, and on Kobo, how it works is there’s no limit to the date. You can go out as far as you want, you click allow preorders, there’s a little checkbox and you just have to make sure that at least 48 hours before that date hits you have your final file up. Customers have the option to view the first five percent of whatever document you use. So right now we do not allow asset lists preorders, that’s something that I’m working on, but it’s not there yet, but you can include whatever you want. It doesn’t have to be your final file. And we do not do rolling sales accumulations. They all land on the launch date. So that’s a nice sales boost to get you out the door on day one. So, one tip I will say, and I still see a lot of authors doing this, don’t just set one price wherever you’re based and leave it there for the system to automatically convert prices for you. I recommend rounding to the nearest point nine nine or point four nine. You can use conversions that we offer, so kind of as an estimate and then go from there. So for as one example, let’s say you set your price at 2.99, the auto conversion will round up to something like $2.43 in Canada and that’s a pretty awkward price and that’s going to automatically show to customers that something’s a little bit weird. And there’s just a consumer psychology aspect to that. So every time you upload a book, just take the time to do that. It truly does make a difference. And there’s a note here just saying that Canada specifically is a huge chunk of a lot of Kobo’s authors because that is our home territory. So why not make that extra little revenue by adding. I’m rounding up to the nearest point nine nine instead of letting it sit at that awkward point whatever. Another specific tip for Kobo is that box sets are still selling really well for us. So, we have no price cap on that 70% payment rates. So you could set your price as high as you want, $20, $30, $40. If it’s worth it for the customer, go for it. So, the first big example we saw working this was Lauren Royal, she didn’t have a new book coming out, so instead she made this box set so she didn’t have to write anything, she just had to format in new .epub and have a new cover and she did some ads for this. It was a new addition. So it’s really targeting those binge readers who don’t want to be left hanging with another book, kind of out the door somewhere. And she earned $14 for every single book she sold and it launched at number one beating out Elly James and Harper Lee on their launch dates. It was incredible. But since then we’ve really found this niche audience of readers wanting to buy these box sets. So now we’re doing specific promos on box sets. Anytime you have a series, or you know, you can break your series up into chunks of box sets, I highly recommend that you do that. but this is also an interesting note just on that 70% payment rate that, if you, for example, are an academic author or a nonfiction author, you don’t get penalized when you go with a higher price. So that’s pretty wonderful. And we’ve seen a lot of academics do really well with their titles, the textbooks that you’ve worked so hard on and obviously want a price higher than 9.99. So last tip on price strategy, the most common search query on Kobo.com is free. So, lots of people are looking for free books, they still are after all these years trying to get freebie ebooks. So we strategically direct these people to our curated free page. So, we pitch it as kind of a little thank-you from our collection to yours, and we focus on first free in series here. So we really want to get the free books out the door that are going to incentivize customers to then come back and buy your next book. So this is a really interesting page to keep an eye on, and free is still doing extremely well if you use it strategically. So if you have many, many books to promote, if you have first in a series, and I’ve actually been seeing authors who’ve been in the game for a while, start to cycle that free, that permafree book into different books in the series. So, if you’ve had it at book number one for a while, try putting it at book number three and see what that does to kind of get people in, and then incentivize them to buy the rest of the series, or if it’s a limited time offer, so a Bookbub or an ad campaign you’re running. But obviously don’t do free if you only have one book that’s not going to work or do you any favors. So to get on that page, you should use our promo tab, which is one of our very best features as Kobo Writing Life. And it’s right in the dashboard, I’m showing where it is here I’m, and there we have a growing list of every single promo opportunity that you can apply for. So, for example, that free page, if you want one of the big category features daily deal, which is Kobo’s biggest deal on the main homepage, all of these opportunities are there, and you can apply for them directly. It’s pretty exciting and wonderful and we’ve seen authors do really well with this and I should mention it is still growing and in beta mode right now. So, if you don’t have access and you want it, email us at [email protected] and we will set you up, happily, and I’m also should mention here that these are pretty reasonably priced marketing opportunities. That’s how we see them. So you can see as these examples, $10, $80. $80 is the highest right now that we go. The other option, sometimes we’ll do an additional percentage off of your typical payment rates. So for example, 10 percent. So any title you sell through that promo, we take an extra 10% as a cost of featuring your book. So that’s how the promos work with Kobo right now. The second opportunity you should know about is the opportunity to distribute to Overdrive. So, as I mentioned at the top, as you can see through their logo, Overdrive is also a Rakuten company. This is where libraries shop for their ebooks and audio books. So if you are uploading through KWL, you can distribute to Overdrive directly and get 50% of the library price. You set a guideline, typically you set the price around a mass market paperback price, and then you’ll get 50% of that in library sales, go directly into your monthly sales reports. We’re seeing authors doing extremely well through Overdrive, and I think this is a unique niche where you can really hit new readers and I just, I know you do too, but like I really believe in libraries and I think it’s important for books to be available there. So if you are an author putting books into the world and you should make them available to those library readers, it’s really important. And last but not least, Kobo Plus. So, we launched this partnership in the Netherlands one year ago where many people read in English, so you don’t have to necessarily be publishing in Dutch. And it’s a 90-day commitment, but we do not require exclusivity here. We just ask for 90 days because it’s an effort for us to get these books in front of new customers and to build the subscription base, and if you’re just dipping in and out, it really doesn’t work for us. And you can market these titles. You can target Bol, for example, target the Netherlands. Most Netherlands households have a Bol account and this is a really interesting place to be experimenting. So it’s really easy. There’s a click opt-in box with terms there. It’s right in the dashboard so you can explore that. And last but not least, since we’re on the topic of going wide, I really believe that you should think about publishing as an investment portfolio. When you’re putting your books out there into the world, think about different formats, think about different retailers, different markets, different countries. I think we are still at the very early stages of the digital disruption for the publishing industry and things keep changing. Retailers that were giants, you know, four years ago are gone, little players are now huge players, so distribute widely, use every format that you can afford to create content and think globally, create diversity that’s going to support your business to grow in a way that you can rely on as your revenue continues to grow. And I just think every retailer has its own customers and opportunities and you need to take advantage of everything that’s available to you. And I highlighted three that are just unique to Kobo and there’s a million other ones through all of the other channels. So I encourage you to think about that if that’s not the way you’re thinking about your business yet. So, if you want to learn more about us, I highlighted these earlier, but the blog, it’s at Kobowritinglife.com. We update that often a couple times a week, and if you have a story you want to share with us on the blog, we would love to feature you as well. And we have a biweekly podcast. If you love my voice, I am the show host. We interview authors, industry experts. We share platform news there. Subscribe anywhere that you listen to podcasts. I really encourage you to stay in touch with us. We love hearing from authors at [email protected] We answer most questions within hours, but certainly within a day or two. And, we’d love to hear from you truly. So I hope that was informative and even no matter where you are in your publishing journey, I hope you got something out of that. So that’s the presentation for today. Thanks, Orna. Orna Ross: Thank you, Christine. And can I just ask you a few questions then because you’ve pretty much covered everything that I wanted to highlight on that. We asked our members to send in their queries and questions. That’s why it was good idea to give it till the end of the presentation because you’ve actually answered most, but one of the things, you mentioned a good few times. Things we love about Kobo is this whole global idea, you know, being truly global, being as global as it is possible to be because every territory, every new country is a new opportunity and within that country, different platforms have different sets of opportunities. So can you just talk to me a little bit specifically about Kobo? We Love Kobo Map and all of that, but you are in places like other people just aren’t. Christine Munroe: Yeah. So global from a global perspective. We are growing a lot in Europe right now. So for example, we partner with Mondadori in Italy, with FNAC in France. with, I’m going to forget all the names of our partners, Bol in the Netherlands. So those are a few examples. Rakuten in Japan obviously, and we just had a new partnership launch in Turkey last year or the year before. We partner with Gandi in Mexico. So, these are all massive book retailers and online retailers where customers who are already shopping there then get the benefit of Kobo ebooks and then additionally we are in countries where people can shop on the Kobo site and a lot of people are finding their ebooks that way. So there are tons of countries on that Kobo map, I saw Swaziland. We don’t have a partner there, but people are still discovering our books there. So from a global perspective, that is absolutely our focus. It always has been and always will be. And we just keep expanding every single year. We have new partnerships coming. Yeah. Orna Ross: That’s fantastic. And you spoke about specifically targeting Kobo through Facebook ads. Could you expand a little bit on that as to how somebody might considered doing that? Christine Munroe: Yeah. So Facebook ads I feel like are always changing. So I’m sure the advice I give today might not be true tomorrow. But there are interests in groups you can target on Facebook specific to Kobo. Kobo itself is a targetable interest. Kobo ereaders is a targetable interest. You can retarget people who have shopped on Kobo, so the more you get into Facebook ads, the more you can get specific on a Kobo audience. And if you pair that with a country that you know we’re growing in, for example, Canada, Australia, New Zealand, South Africa, you are much more likely to hit Kobo readers. The other partner that, well, they’re not a partner, but we work with them, is Bookbub, who let you reach readers globally, and they really pushed the global and wide story as well. So if you’re advertising to Bookbub or using that as a marketing tool, that’s another great way. So make sure you’re including Kobo and looking at countries outside of the US for your Bookbub ads, because people see a really big lift through their Kobo sales on Bookbub once you look outside of the United States. So I think that’s really important to keep in mind as still the most powerful ebook-specific marketing option right now. Orna Ross: Yeah, and Bookbub love you to do that. They actually, in some senses, it’s the difference between getting a yes or a no. Orna Ross: Yeah, exactly. And other similar sites are increasingly also taking that line. Orna Ross: Okay. Yeah. And finally, really, I suppose we have some members who are considering, you know, who have been exclusive with other retailers who are looking at going wide, and it’s not the same, you know, if you’re working with one retailer and you’re used to how they do things. We’re always trying to help people to understand that it’s not a matter of just, okay now I do it over here. Could you just talk a little bit to that – what do people need to do to go wide successfully? Orna Ross: Brilliant. Okay. Listen, thank you so much for dropping in today to talk to us. Christine Munroe: Thanks for having me. Orna Ross: Yeah, it’s great to hear what you’re up to and always up to so many different things and so many exciting things and thank you for all the opportunities you provide for authors. We are very grateful. Christine Munroe: We are grateful for the amazing books, so. Orna Ross: The partnership is great. Okay. Chrissy, take care. Orna Ross: If we have any other questions arising from this, we will be in touch. Christine Munroe: Wonderful. Thanks Orna.